TP-LINK’s NC220 cloud camera is a cloud-based Wi-Fi video monitoring device with free live streaming and remote viewing that makes it easy to stay connected with whatever you care about most in your home or business, wherever you are. With tpCamera App installed on your smartphone or tablet, you can access your cameras anywhere there is Internet access, whether you are on a vacation or on the way, you always have a real time view of your home or business. Equipped with the Night Vision function, NC220 enables you to view up to 18 feet, even in total darkness, which provides that sense of 24/7 security. 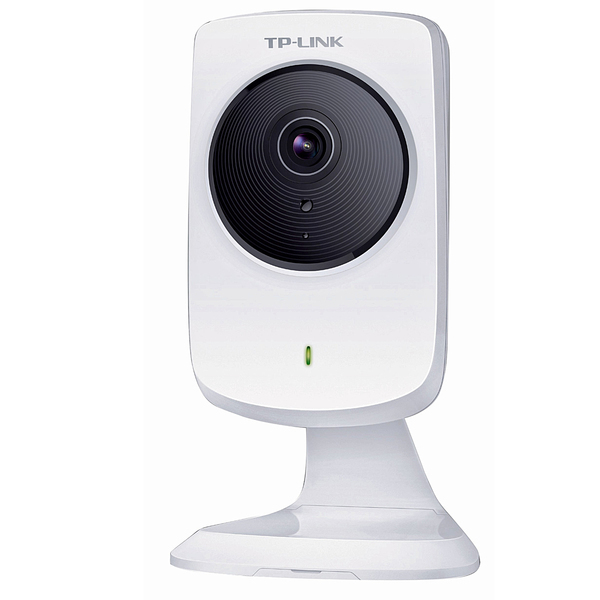 The TP-LINK NC220 cloud camera also acts as a wireless extender, which means that you will have additional wireless coverage around each camera that you deploy. Simply run the wizard on your laptop or download the exclusive tpCamera App on your iPhone, iPad or Android devices, then you can enjoy the benefit of being connected to what matters most to you anytime and anywhere.